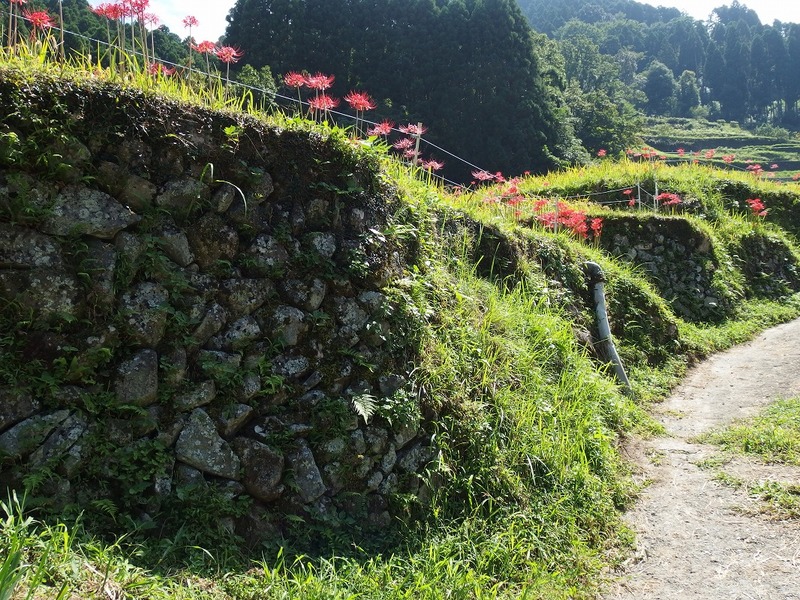 The fields and the old good houses among the beautiful mountains can be called the Japanese original scenery. Such a place cannot be seen easily now unless we carry a foot from our own. 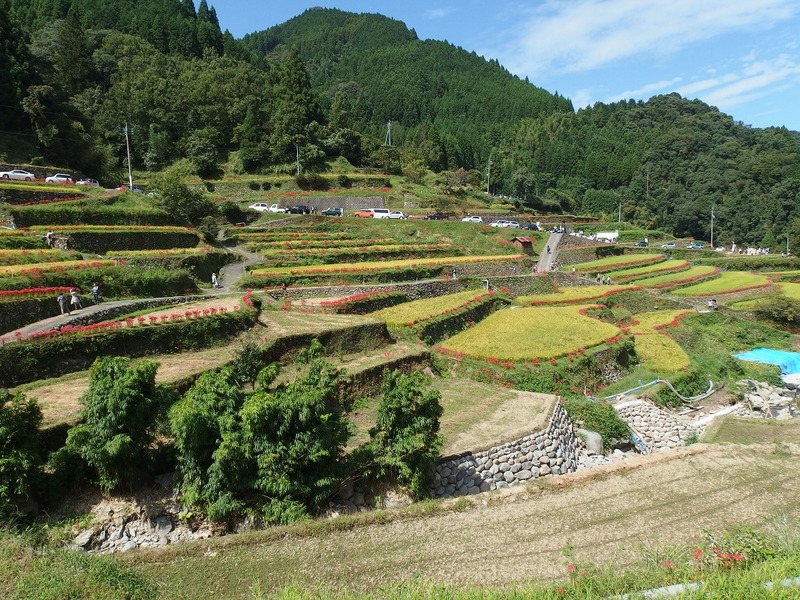 Terraced rice fields (Tanada: 棚田) in the Nikawa, Ukiha city, Fukuoka district is one of the good old scenery of the former Japanese mountain village. 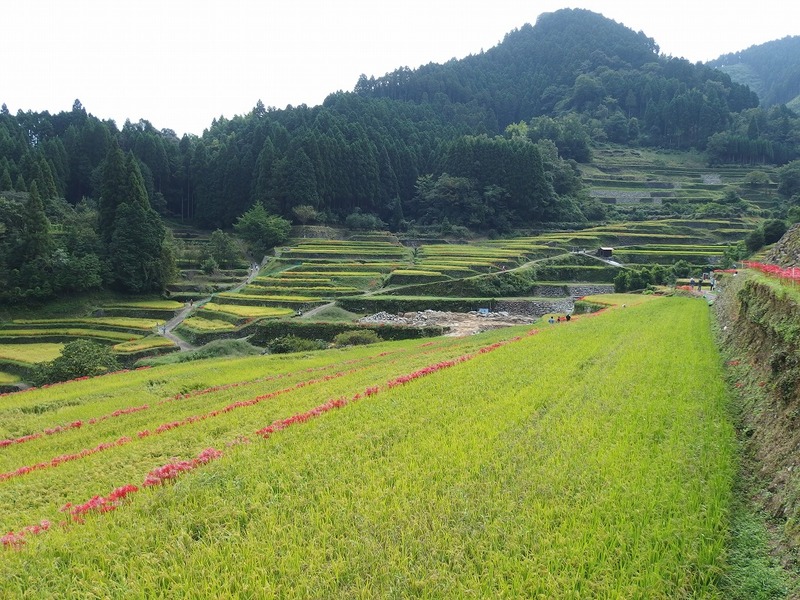 Terraced paddy field, it is the field that made in a step-wise manner on the mountain slopes. This terraced paddy fields are called “Tana-da (棚田)” in Japanese. 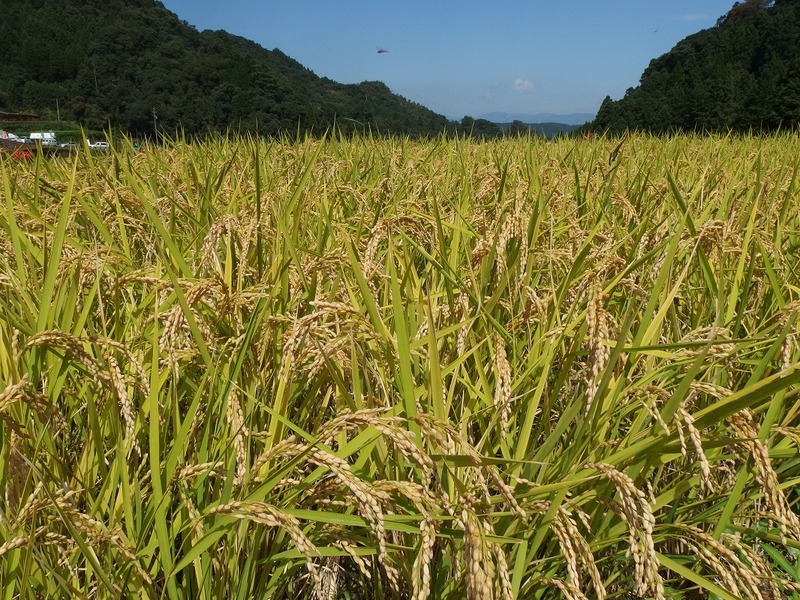 The character of “棚” means shelf and “田” is a paddy field. 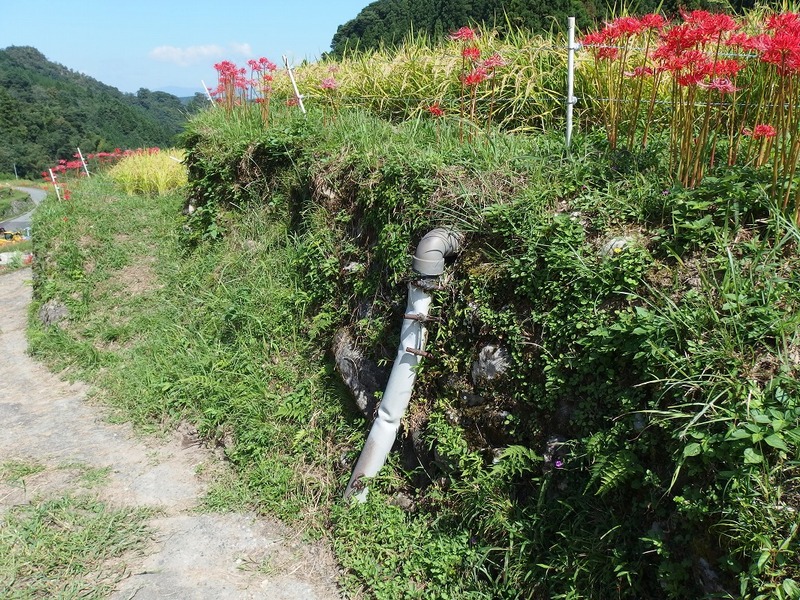 Because a lot of small paddy fields are gathered and cover the slope of the mountain like shelves, it is called “Tanada (棚田)” in Japanese. Terraced rice fields are not found only in Japan, can also be seen in other Asian countries, such as China and the Philippines. Philippines rice terraces are registered with a world heritage. 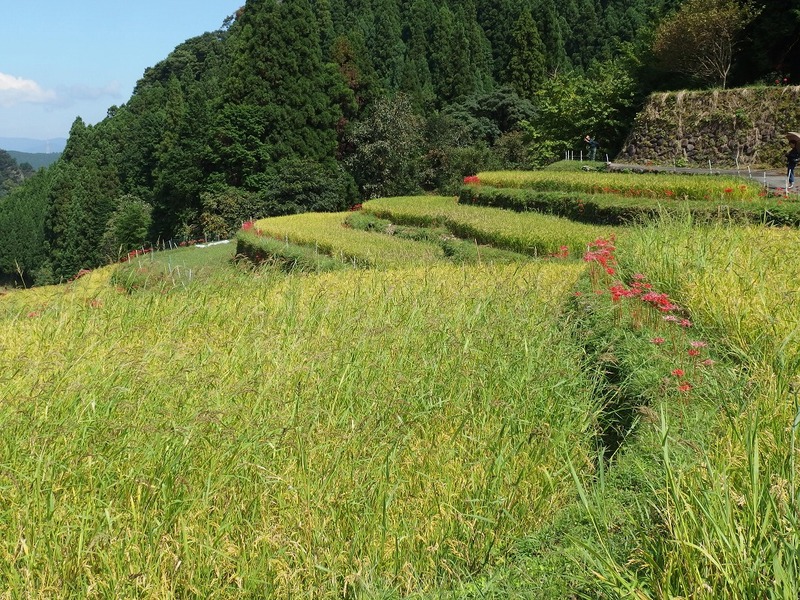 There are terraced rice fields called “Tsuzura-Tanada” in Ukiha city. 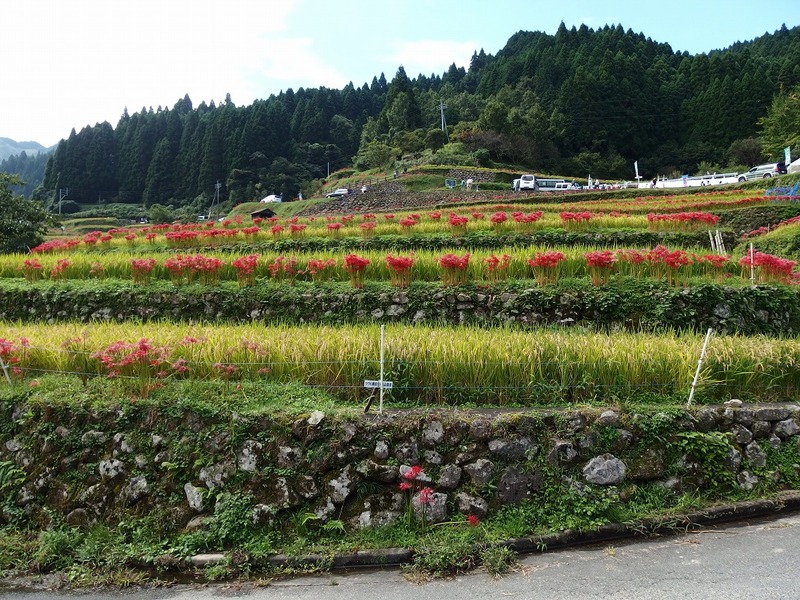 Many tourists visit here to see these beautiful rice fields in the season of rice planting and rice reaping every year. 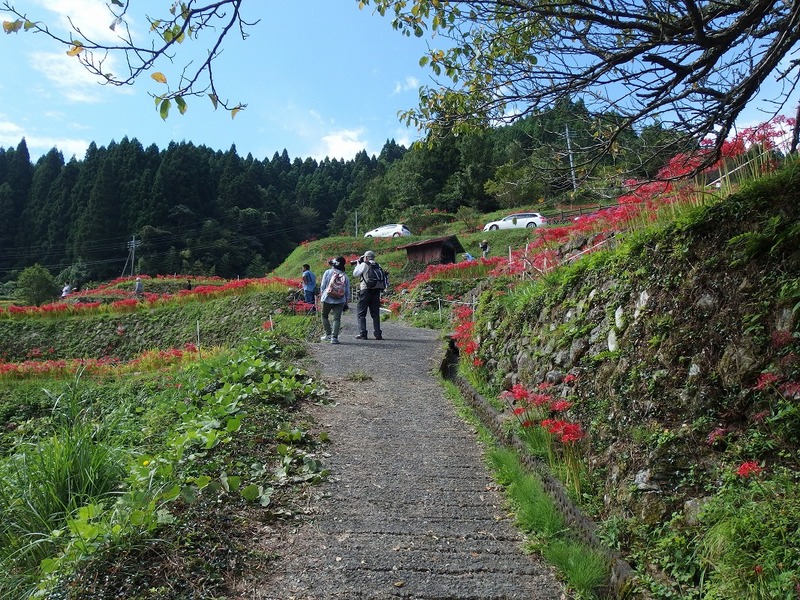 There is a festival called “Cluster-amaryllis tour & Basara festival”, in the fall. 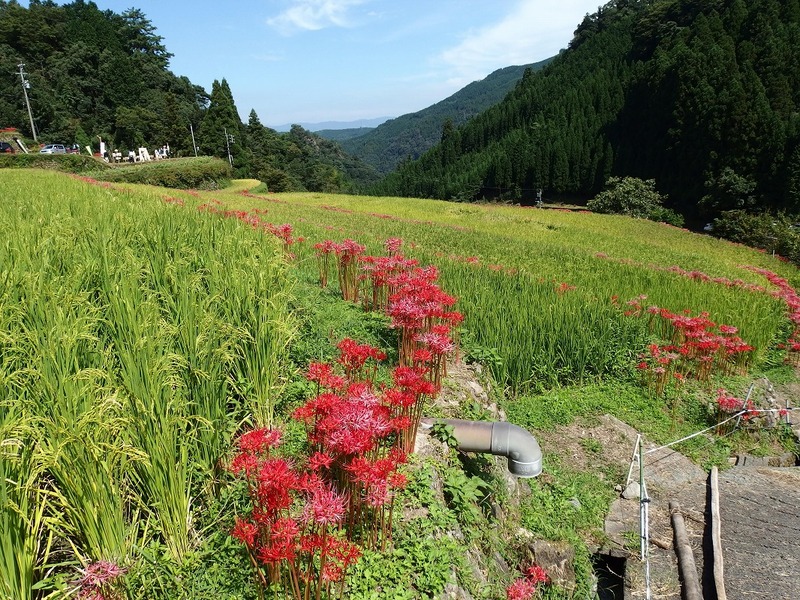 It is the festival to enjoy beautiful terraced rice fields with 500,000 of cluster-amaryllis flowers in Ukiha city. I visited there during this festival in 2015. 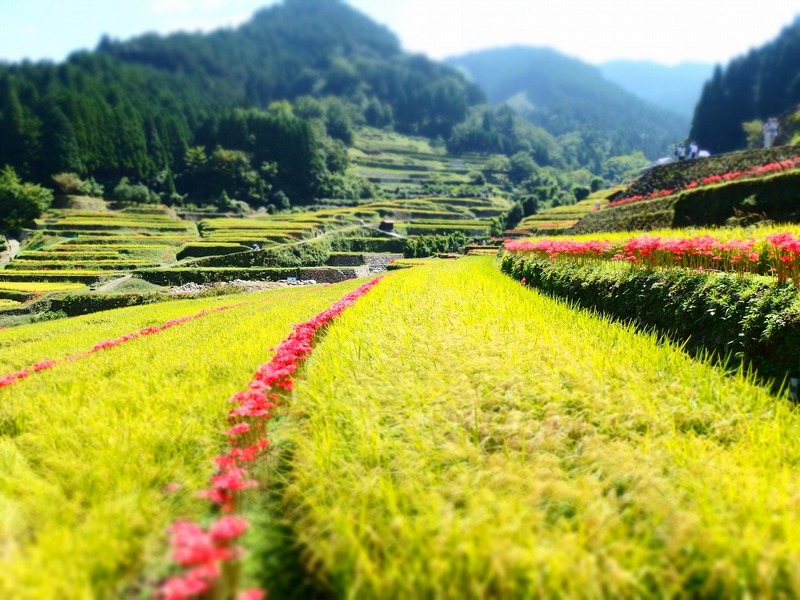 Let’s see beautiful scenery of Tanada and flowers together! 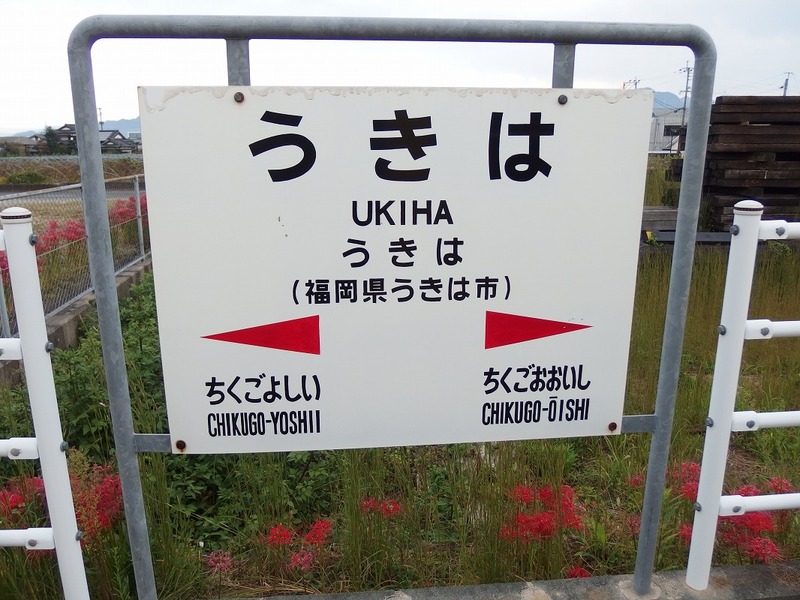 At first, I used a train to go Ukiha city. 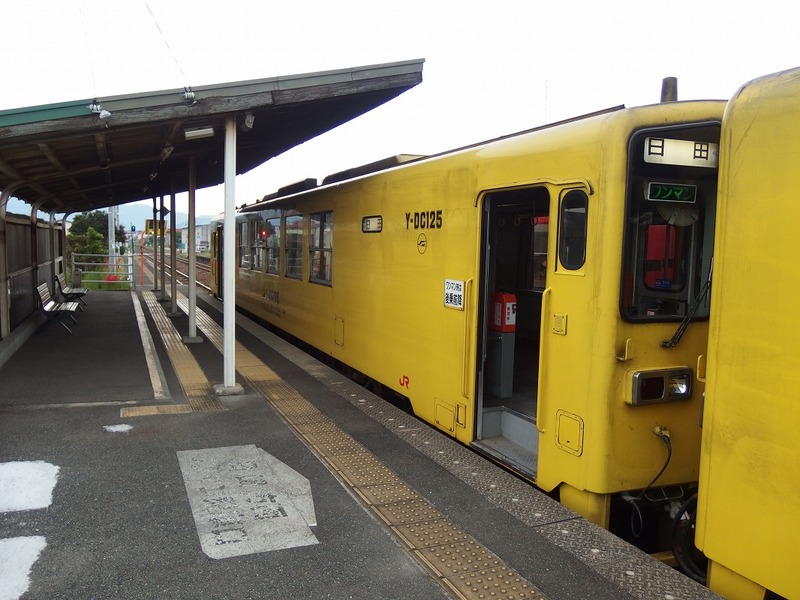 If you come from the Hakata direction, use the JR Kagoshima main line (JR鹿児島本線) to Kurrume station (JR久留米駅), change the train to JR Kyudai main line (JR久大本線) until JR Ukiha station (JRうきは駅). It will take 2 and a half hours. 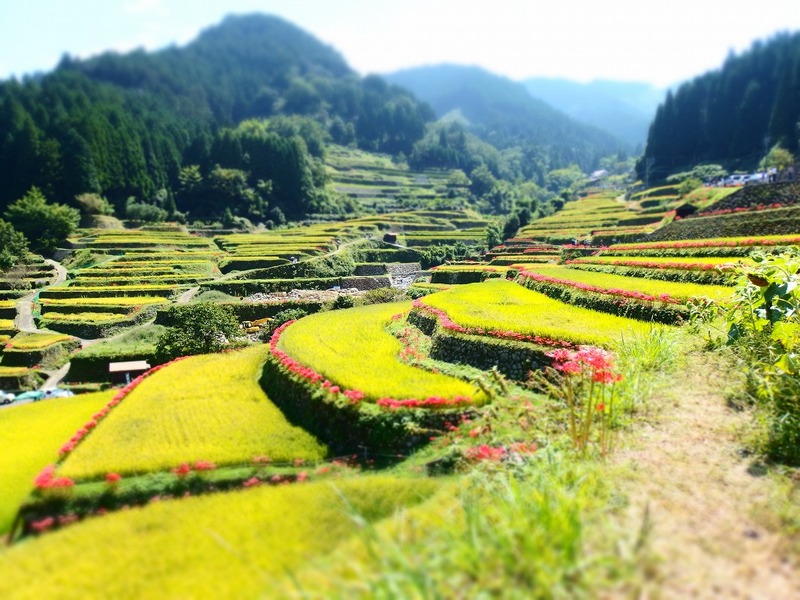 To visit the terraced paddy fields in the Ukiha of Nikawa district, we can usually access by car only. 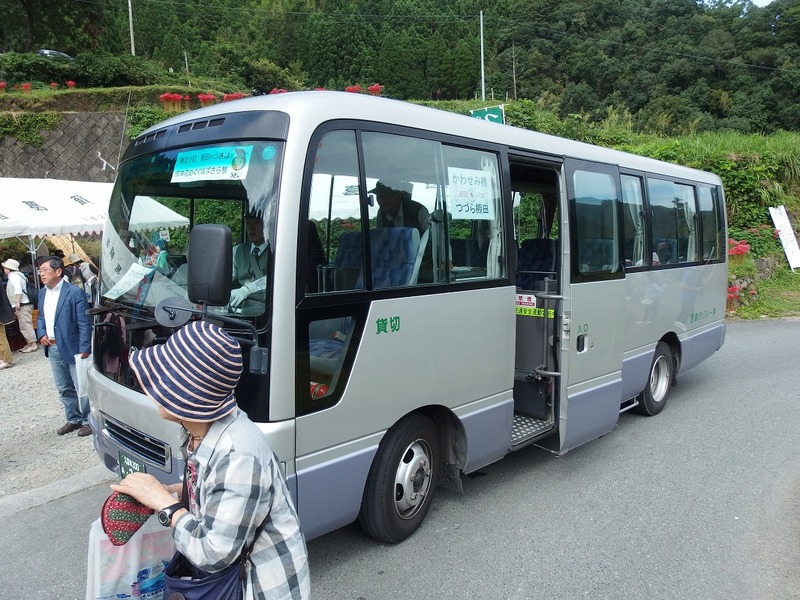 However, extra bus had been operated for free during the festival. A bus has already waited for the tourists at JR Ukiha station. And we changed to smaller bus at the transfer point, then went into the mountain road. It took another 30 min to arrive the destination. Thanks to their hospitality, we had a person of local forest therapy as a guide in the bus. We were able to listen to the commentary such as the forest of this area or terraced rice fields. The first view of Tsuzura Tanada. Tanada was orderly, and surprisingly beautiful than I had originally imagined. The area of terraced rice fields are 7 hectares, and about 300 sheets of it. It has been chosen “the 100 best Tanada in Japan”. Rock-work that has been assembled using a pile of stones, seems to be a thing of about 400 years ago. 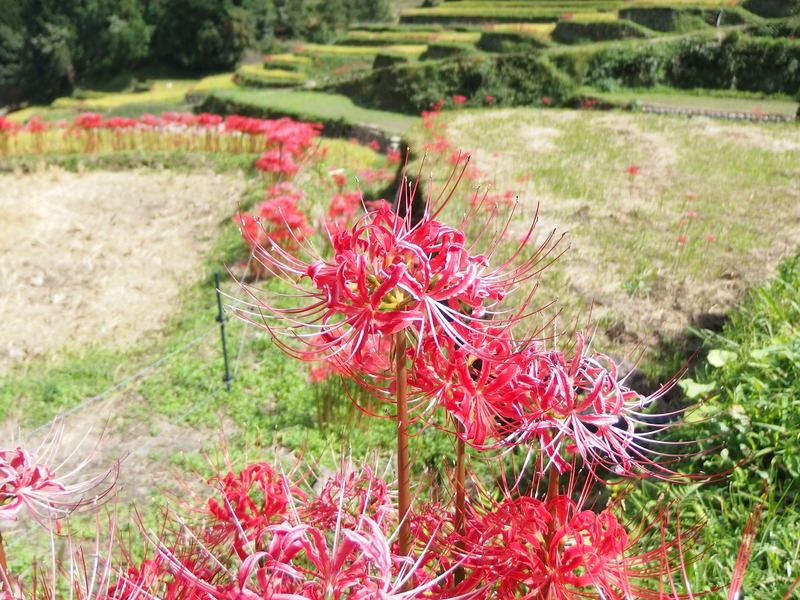 A lot of cluster amaryllis were in full bloom in September. These flowers were planted by local farmers to improve the landscape and enliven the festival. However, the number of farmers is decreasing rapidly, also due to aging, it has become difficult to maintain the paddy fields. Currently, it is maintained by 5 houses of the farmers. 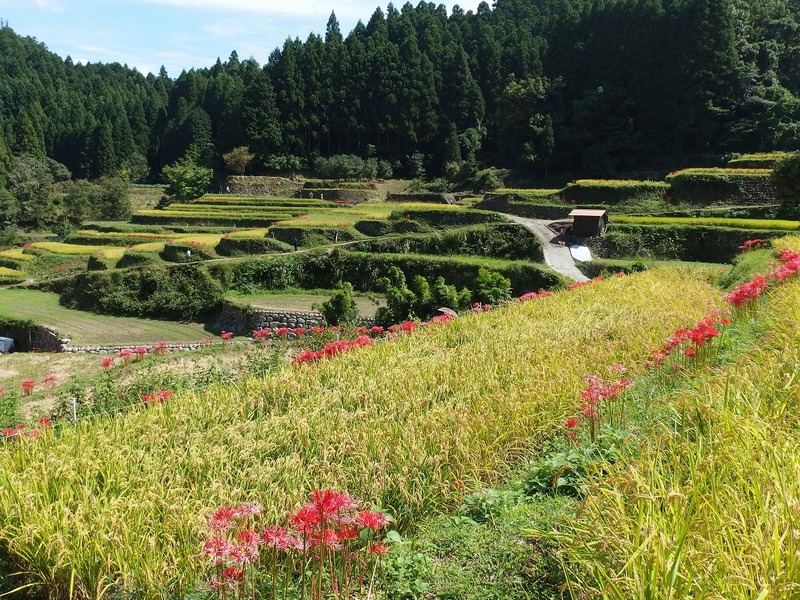 In order to protect the terraced rice fields, various activities have been carried out such as “Tanada ownership system” or this “Cluster-Amaryllis tour & Basara festival” by local people. “Tanada ownership system”, it signs a borrowed contract of paddy fields (Annual membership fee is 37,000 yen). While interchanges with the local farmers, you can get farm work experience. If you are interested in it, please check this link (The link is Japanese only). 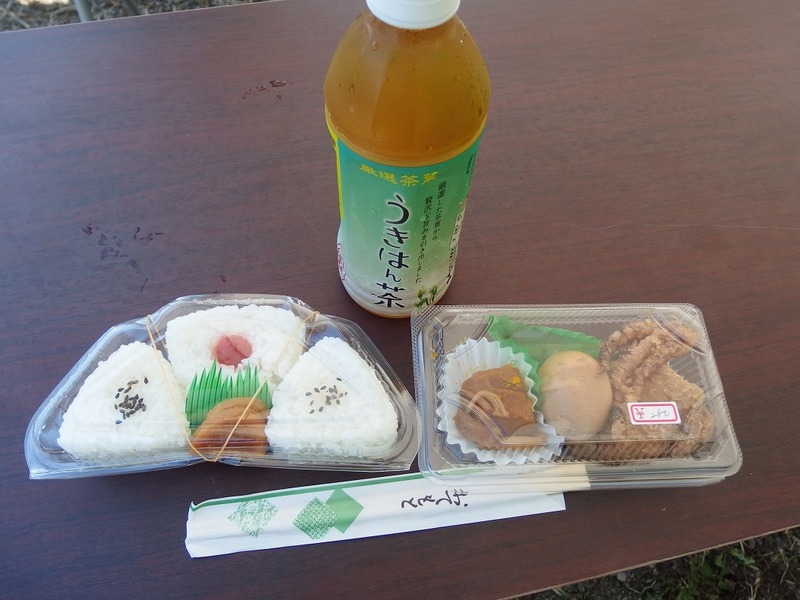 At the arrival point of the bus, lunch and drinks, and also local agricultural products had been sold. 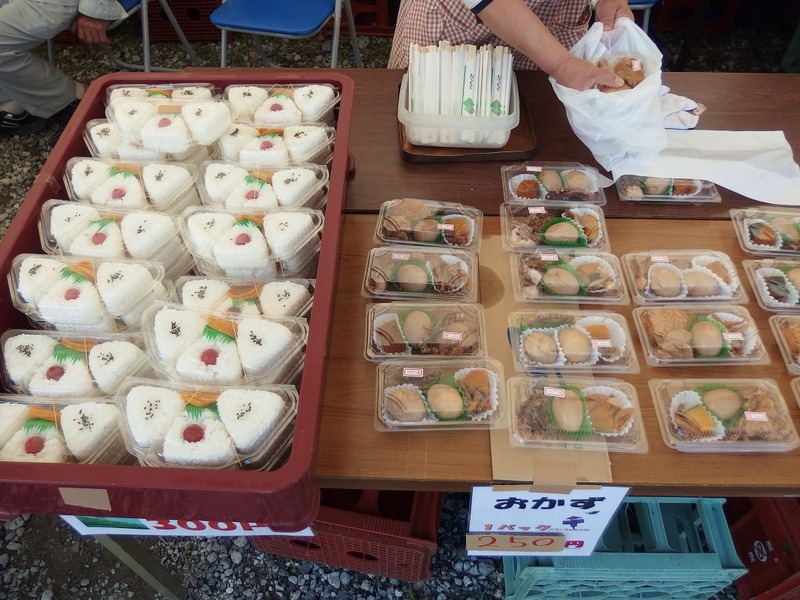 The rice produced locally was really good! Well, how were the Japan’s terraced rice fields? 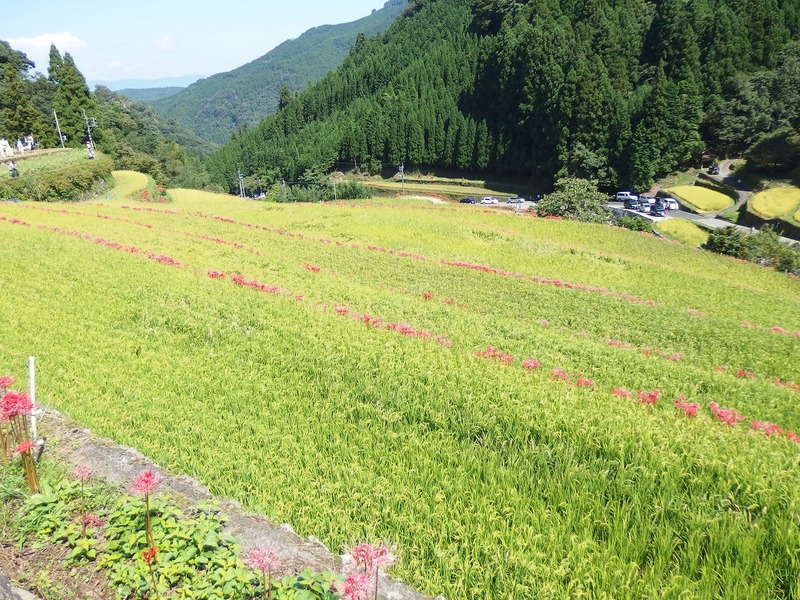 The reason why the scenery of Japan is beautiful, is because a lot of people, such as farmers, work hard to maintain mountains, river, and fields. As a person living in same Fukuoka, I’m going to participate in the activity like this festival as much as possible in order to protect this beautiful scenery. 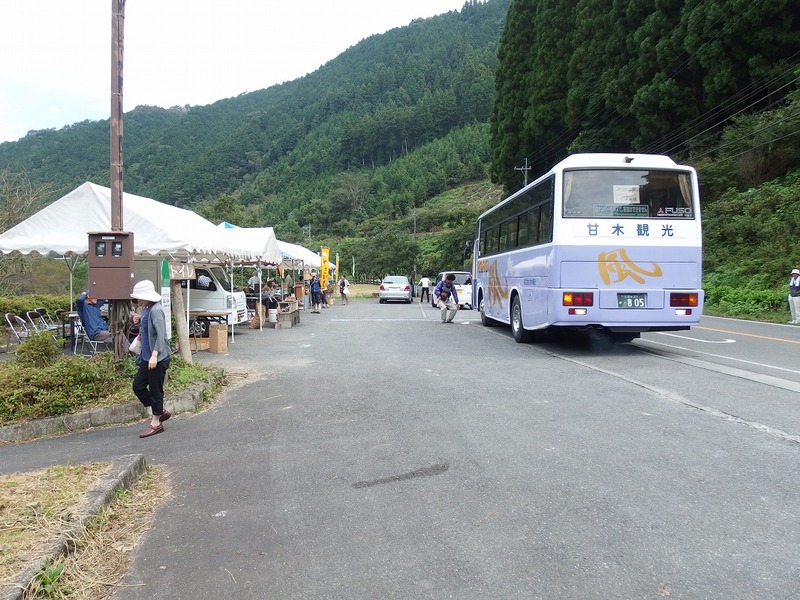 Bus: There is a shuttle bus from Ukiha station during the festival. Car: Take exit from Oita Expressway (大分高速道) at Haki IC (杷木IC) toward route 386. Take route 52 and route 106 to the destination. It’s about 40 min. 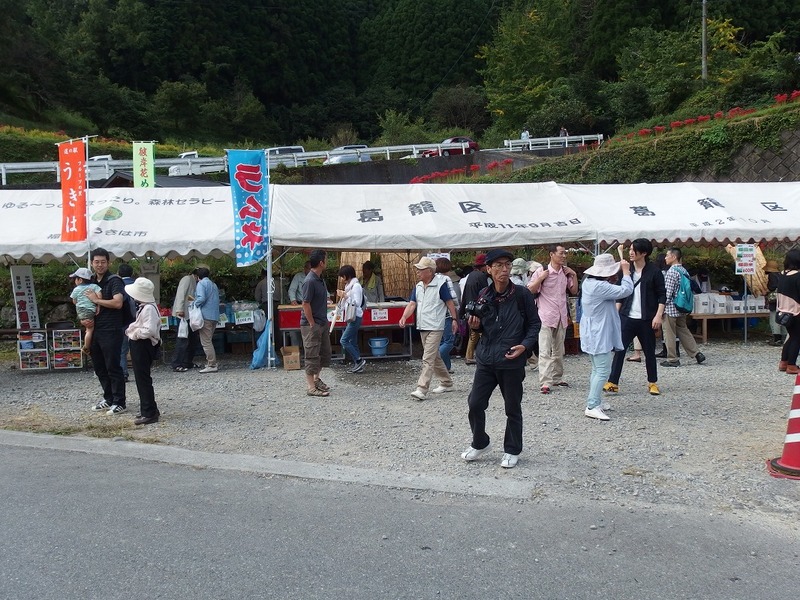 Note: The traffic will be very busy during the festival because of the narrow mountain road. Please follow the guidance of the local traffic induction. ← It’s not only wisteria, but Autumn leaves are also amazing! Autumn leaves in 2015 at Kawachi Fuji Garden!